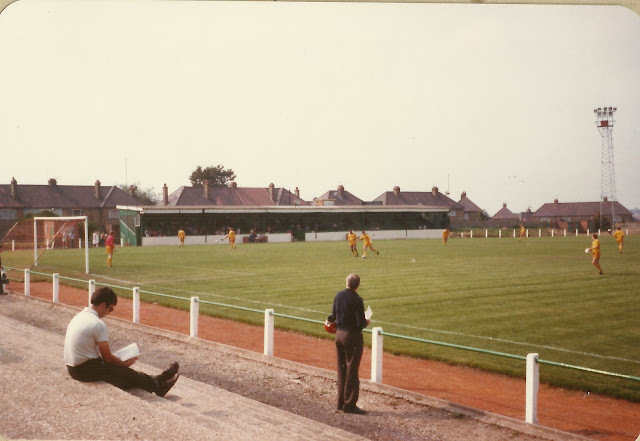 1: Claremont Road had a capacity of 8000, with covered accommodation for 5500 and a 500 seater stand. 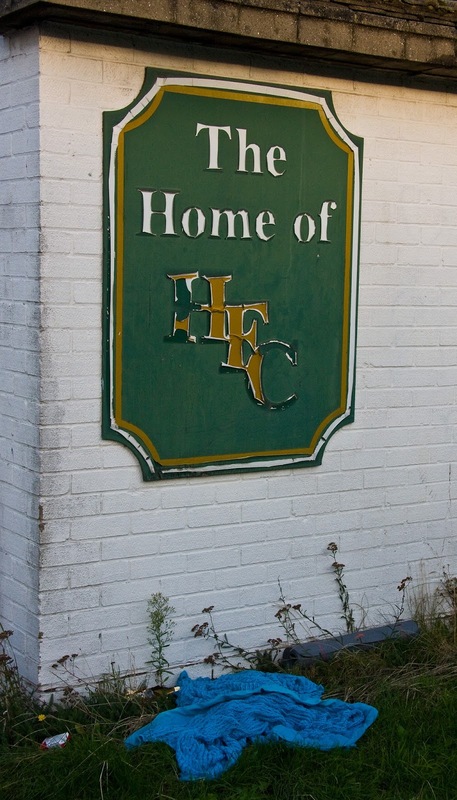 2: The ground was home to Hendon FC from 1926 until 2008 when they were evicted after selling the ground to a property developer. It remained derelict for years due to a legal wrangle over a covenant on its use. Another legal wrangle ensued in 2013 as it had been occupied by travellers and the Police and immigration authorities had trouble moving them on. 3: Claremont Road was used to film several TV shows and films, most notably BBC's Fantasy Football League's Phoenix from the Flames section in the mid 1990's. The below example recreated a famous moment in Ireland midfielder Ray Houghton's career. 4: The record attendance at the crowd came for an FA Cup tie in 1952 against Northampton Town. 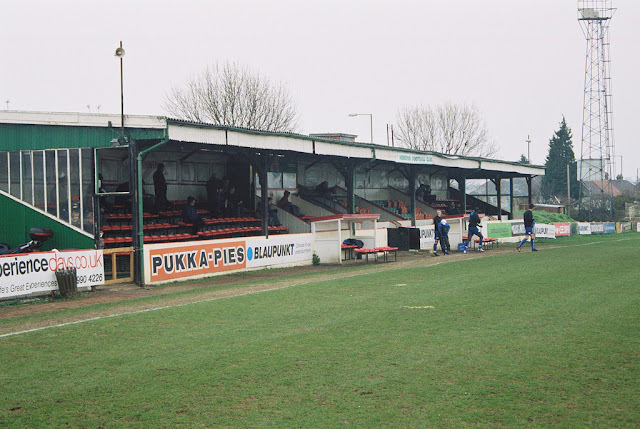 The 1st Round encounter attracted over 9000 fans and was a goaless draw before a 2-0 victory for the Cobblers on their own ground. 5: Hendon's record progress in the FA Cup is the 3rd Round. In 1974 they took Newcastle United to a replay after a heroic 1-1 draw at St James Park. The replay was at Watford's Vicarage Road and this time class told as their illustrious neigbours strolled to a 4-0 victory. 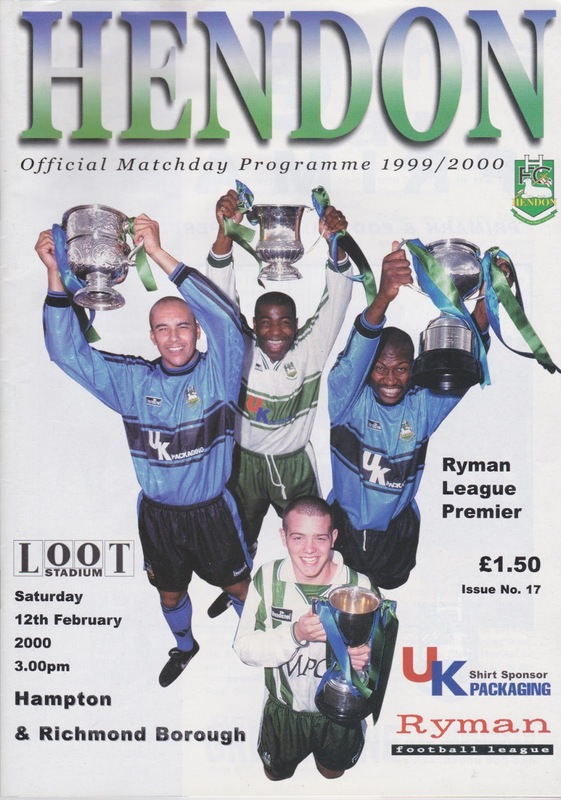 6: Hendon had a great record in the FA Amateur Cup, winning it three times. 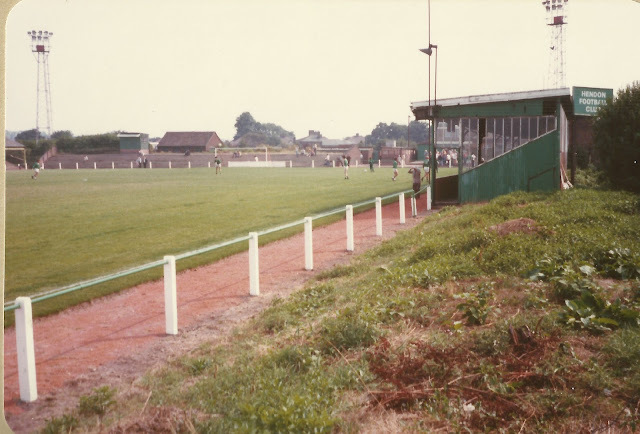 In 1960 they beat Kingstonian 2-1, in 1965 they defeated Whitby Town 3-1 before a 2-0 victory over Enfield 1972. They were also losing finalists in 1955 and 1966 losing to Bishop Auckland and Wealdstone respectivly. 7: The club's best ever run in the FA Trophy came in the 1998/99 season when they lost in the 5th Round to Cheltenham Town. 8: Hendon were Isthmian League champions in 1965 and 1973 which at the time was the joint best league in the non-league game. 9: Several big name players have plied their trade for the club. Most notable was Iain Dowie who attracted their best ever incoming transfer fee when the moved to Luton Town for £30,000 in 1988. 10: Prior to taking their current name in 1946 they were known under various names. Formed in 1908 as Christchurch Hampstead, they were later also known as Hampstead & Golders Green. After passing my driving test in the previous April, I'd started going to more and more games that caught my interest. I can't remember why I fancied this one but it meant a battle through rush-hour traffic to get there, though as I remember it I didn't have any issues. These were pre sat-nav days of course, so I had printed instructions and used the floodlights to guide me into the ground. I recall the club shop with a ton of old programmes for sale and I remember buying a few old famzines to read at a later date. I can't remember if I got a programme or not, but if I did it became mislaid in the ensuing years and it took me ages to purchase another. Luckily the Hendon club shop was online many years later, and they had a copy which they were happy to sell me for a very reasonable price. Maybe some of the confusion was as the date on the programme was for the date of the original game on the 12th February which had obviously been postponed due to the weather. 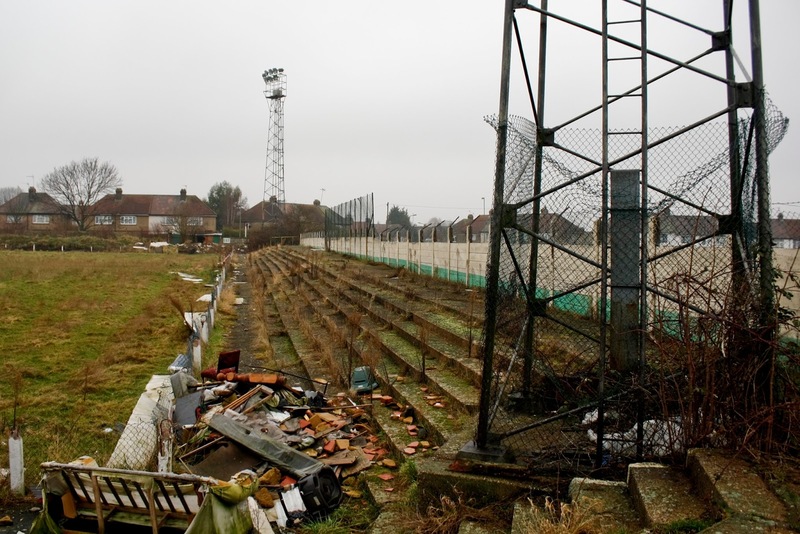 The one real memory of the game was Hampton and Richmond Borough's manager Steve Cordery turning round and telling the main stand to 'f**k off' after the home side were awarded 2 spot kicks in the space of 20 seconds. They came in the 44th minute when Paul Scott had been set free by a decent through ball before being felled by Rob Frankland. It looked accidental but the referee pointed to the spot. Dominic Gentle stepped up but his effort was saved and put out for a corner. This corner was put in and after a goalmouth scramble there was another penalty awarded. Up stepped Gentle again, and again he missed with the effort being put wide. Hendon were dominating with the visitors restricted to chances on the break. For a long time it looked as if it might end goalless but in the 87th minute Dale Binn's shot was parried and it was left to 17-year-old Nathan Edwards to net a dramatic late winner in one of his first appearances for the club. My visit to CLAREMONT ROAD came before the advent of digital cameras so sadly I didn't get any pictures apart from ones that didn't come out on my normal camera due to a flash ruining it. I did return in 2005 and get some pictures over a fence, but was restricted in what I could get pictures of. Therefore the pictures below are mainly ones obtained online from Flickr.